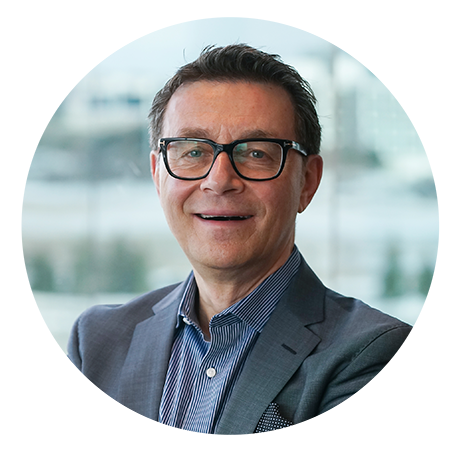 Connect with consumers in Canada’s largest city. Home to over 6 million people*, Toronto is an ideal setting for brands to reach consumers with Out-of-Home products. 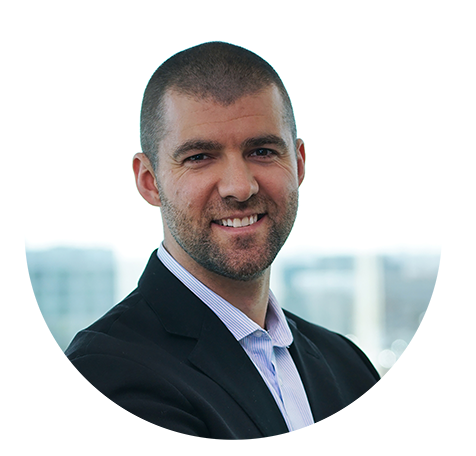 Make your mark inside Canada’s largest city and surrounding suburbs, with engaging formats that connect your brand with the greater population or speak to specific segments. optimize your advertising budget for a successful campaign. 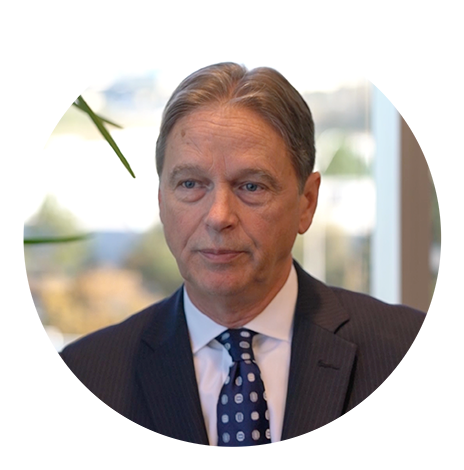 Convert a heavy commuter audience into customers with PATTISON’s Cassic, Digital, Transit and Street Level products. 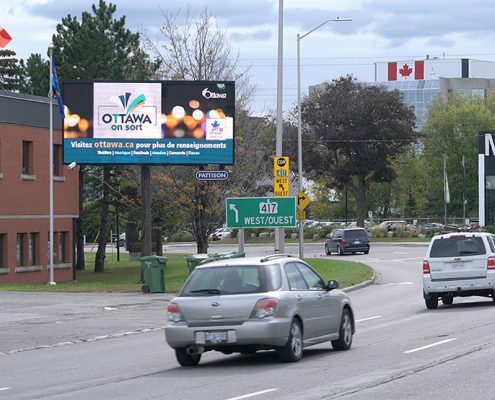 Make a statement in Canada’s capital with all four of PATTISON’s product pillars to choose from; Classic, Digital, Transit and Place-Based advertising formats make it easy for advertisers to connect with their audience with the right message, in the right place and at the right time. 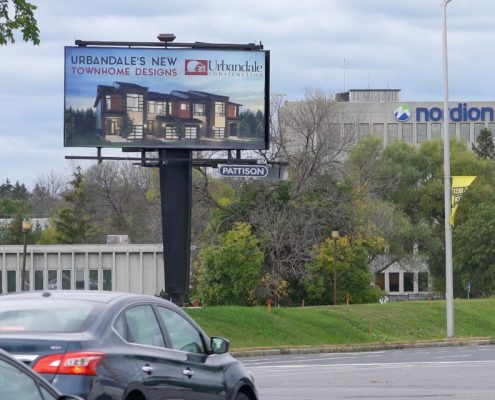 See which PATTISON Out-of-Home advertising categories are available in the list below. Click on the links to see our products offering in each of Ontario’s local markets. *Statistics Canada, CANSIM, table 051-0056. We’re the exclusive advertising provider for the TTC, delivering Canada’s largest urban audience at 538 million* annual passengers. Engage riders spending ample amounts of time inside busy station platforms, subways, streetcars and buses. Contact us to learn more about advertising on Toronto’s TTC transit system. Reach a diverse and professional audience with stunning Classic and Digital formats inside the world’s largest underground pedestrian walkway and shopping complex. Contact us today advertise your brand in Toronto’s PATH. 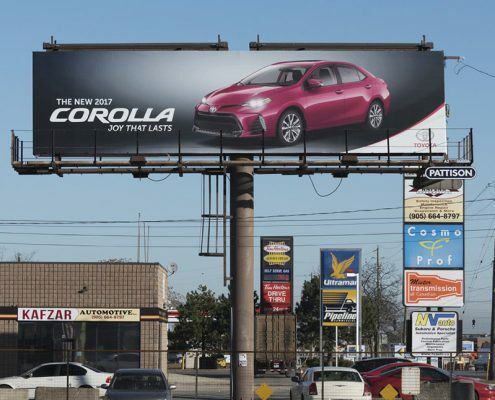 Reaching millions of consumers, our Classic and Digital Posters provide impressive visual impact across the GTA’s busiest highway. 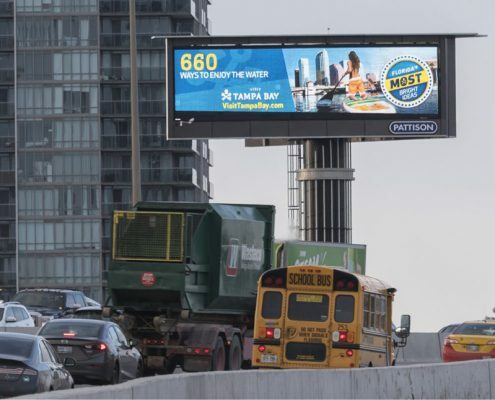 Contact us today to advertise your brand on Toronto’s Gardiner Expressway. 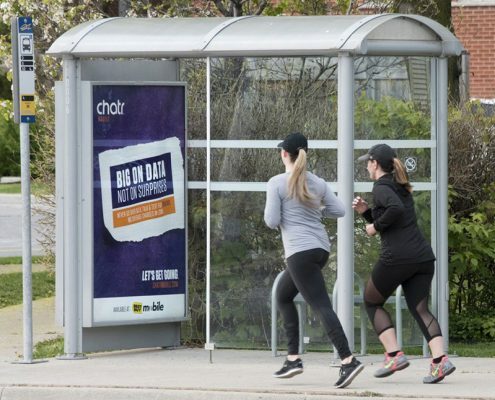 With over 1,690 Posters in the Greater Toronto Area, we give advertisers the freedom to completely blanket the market, or skew by location and demographic for targeted point-of-purchase campaigns. 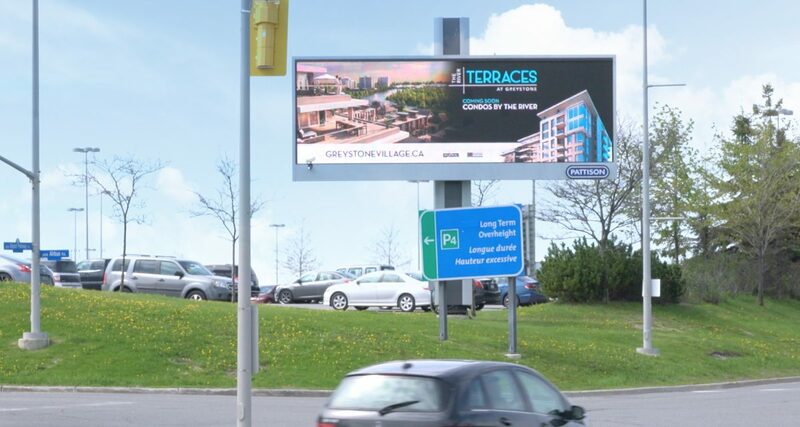 Advertise in the GTA with PATTISON Outdoor. 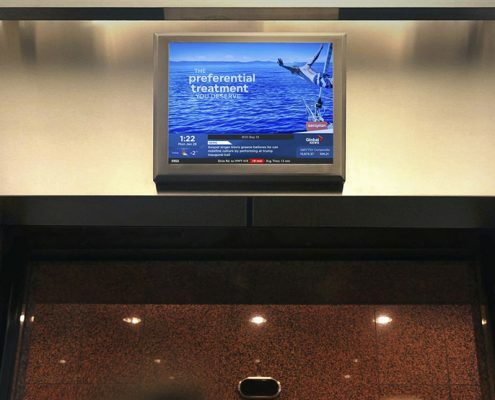 Strategically placed in high-traffic locations, and equipped with smartAD®, our Digital Networks give advertisers access to distinct audiences inside Toronto’s most iconic Office Towers, Residential buildings and Subway Stations. Contact us today to learn more about advertising in TTC subway stations, Offices and Condos. 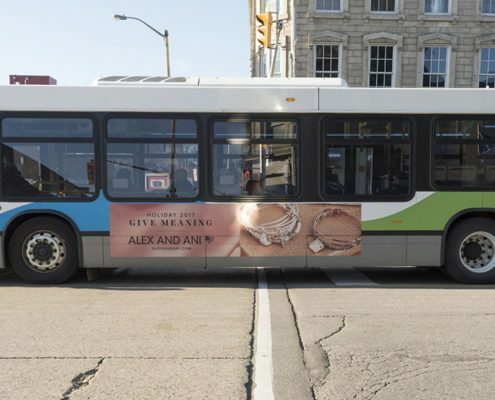 Our inventory of over 1,300 Posters, 34 Superboards and over 1,000 Street Level Transit Shelters gives brands the flexibility in reaching the general population or narrowing in to specific market segments. 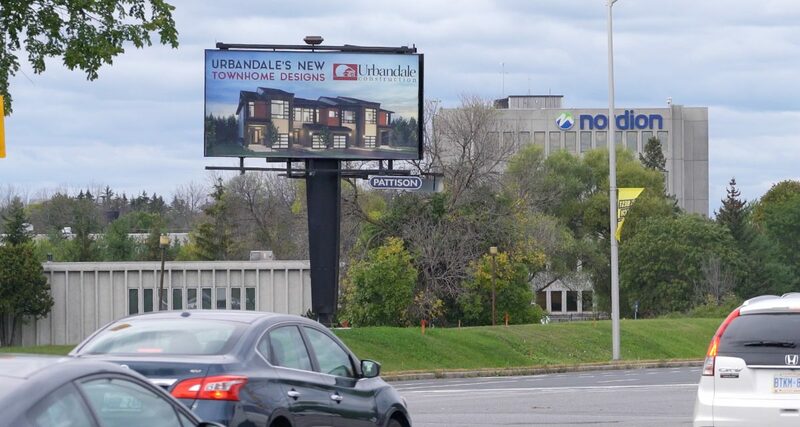 Contact us today to learn how PATTISON Outdoor Advertising can reach your audience in Hamilton and beyond. Attract the attention of residents and tourists in Ontario’s ‘Southwest’ region with dynamic Digital Posters that allow messaging to be updated in real-time. Advertise in Hamilton and Southwestern Ontario with PATTISON Outdoor. Reach frequent transit riders including students, business professionals and residents on the Guelph Transit System, which carries more than 6.4 millions passengers a year*. Reaching consumers while they are in the right frame of mind is a challenge. Reaching consumers while they are at home is even tougher; fortunately, our Residential Network offers advertisers the chance to connect with consumers while they are in a receptive frame of mind, in the comfort of their residence. Explore locations across Hamilton and Southwestern Ontario. Explore PATTISON’s Street Level products across this region. 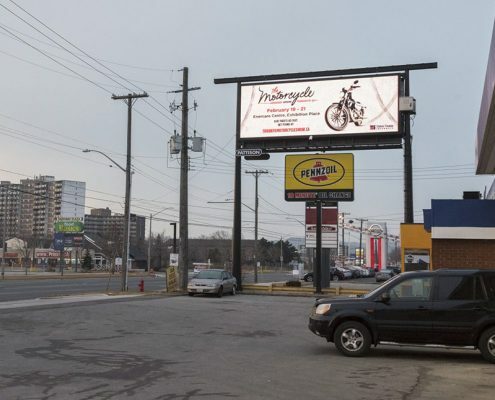 This media is excellent for businesses looking to target specific neighbourhoods or audiences close to the point-of-sale, and for those who want to reach pedestrians, transit riders and drivers at eye level. 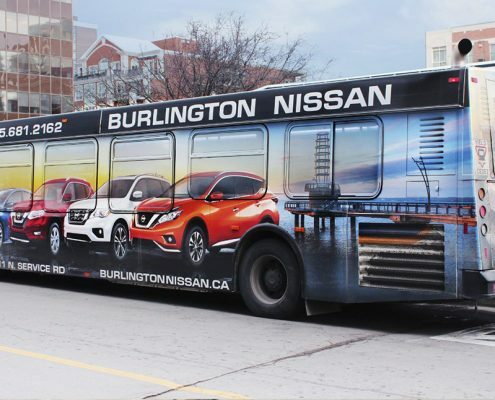 Explore our exclusive portfolio of transit advertising formats available on Ottawa’s OCTranspo. 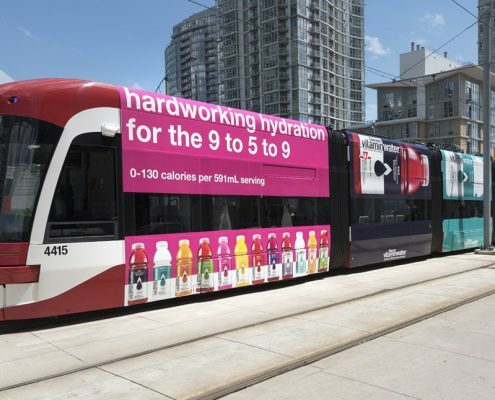 It’s the most effective way to advertise your brand across Canada’s capital city as transit advertising moves your message into every corner of the region. 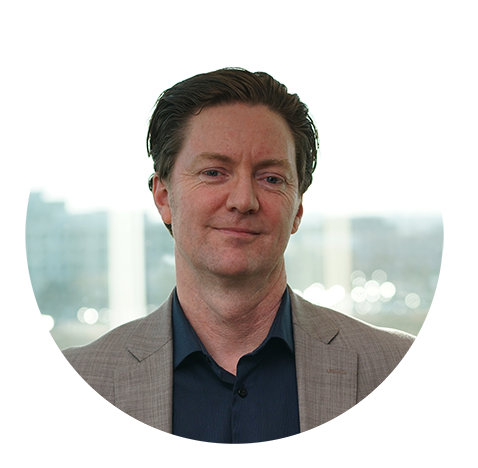 Our Digital Retail and Office networks give advertisers access to desirable and concentrated audiences like shoppers and business professionals that are harder to reach during the day. 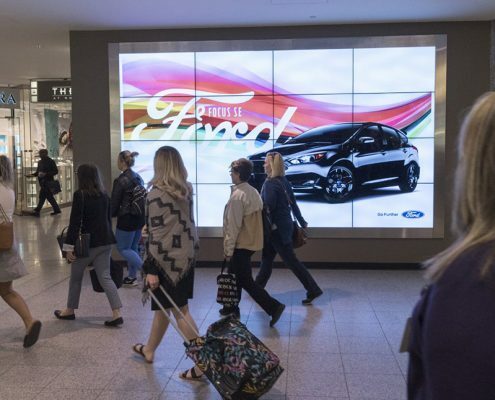 Make the most of our dynamic Digital Posters and Large Format displays with smartAD®, our proprietary advertising software that targets your audience when they are in the right frame of mind. Advertise in Canada’s capital with PATTISON Outdoor and our Poster products. With over 360 Classic Posters to choose from, we lead the way with the widest range of coverage in Ottawa. 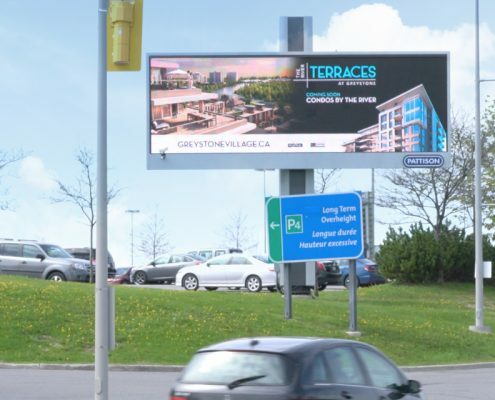 Make an impact on tourists, business professionals and commuters travelling to the Ottawa Macdonald–Cartier International Airport (YOW) with PATTISON airport advertising. Our stunning Digital LED Superboards are strategically placed at main entrances for those first and final impressions. Reach elusive segments in the population with our Digital Networks. A high concentration of Office Network screens in Ottawa’s downtown means advertisers can easily reach a working, public sector audience. Broader coverage across the city through the Residential Network connects brands with consumers while they are in the right frame of mind.